The 2002 movie The Rookie focuses on Jim Morris, a high school science teacher who managed to play major league baseball long after what most athletes would consider their prime. It’s an entertaining feature and stays impressively close to the real-life story of Morris, who pitched in the major leagues from 1999 to 2000. The audience learns at the opening of the movie that this father and high school science teacher had always loved the game of baseball. He had excelled at it during his youth, but due to various circumstances, he had to give it up before be was able to play in the big leagues. While coaching his high school baseball team, Morris makes a bet with his team that if they can win their championship, he will try out once again for a professional team. During tryouts, he manages to amaze everyone with a fastball that falls just shy of 100 mph. This paves the way for his triumphs. The Rookie is definitely a “feel good” movie. It’s the type of film that motivates viewers to go out and follow their own dreams, too. In addition to lifting the audience’s spirits, however, there’s a very poignant business lesson that every entrepreneur and growing business should pay attention to. If you have the talent, there is a place for you at the table. The digital era has made it possible for just about anyone to start a business. This has led to considerable saturation and heavy competition. It has also resulted in specialization and businesses that are able to target very specific niches. For a new entrepreneur just beginning a new business, this can seem considerably intimidating. How does one succeed in business when there seem to be too many companies within the industry already? It’s entirely possible, provided you have the skills necessary and are ready to put in the work. When Morris decided to pursue his dream of playing in the major leagues, he had enormous odds against him. For starters, he was significantly older than most of the other young men trying out. While they were coming to the game fresh out of high school or college, he had not played competitively himself in years. There were also numerous talented pitchers at the tryout and throughout the league. Despite these potential roadblocks, Morris had confidence that he deserved a position on the team, and he went out to earn that place. He was able to show the coaches that of all the talented pitchers available, he had something special to offer. As a business professional, you must do the same thing. If you know you have the talent to run your business well, then focus on showing others what makes you so fantastic. There’s no industry so saturated that a talented and strategic business professional cannot become a leader. The key to success is working hard, showing determination, and having confidence in your ability. It might be hard to break into an industry that already has ample talent, but when you have the perseverance necessary, it is possible. For those interested in starting their own business, the digital era has been a blessing. Unfortunately, the sheer volume of existing online companies can also seem intimidating. Take some inspiration from Jim Morris of The Rookie, and remember that talent and hard work can make it possible for anyone to become a leader in any industry. If you’re ready to start advertising your business, contact us today. 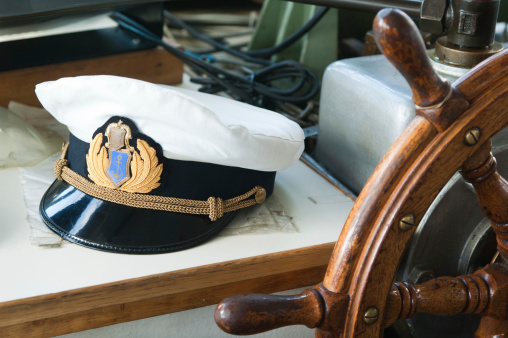 We’ve all heard the expression “keeping the ship afloat.” Anyone who has ever spent time on an actual ship knows that keeping a boat afloat and getting it to the intended destination is no easy task. Ships of all sizes require a considerable amount of work from everyone on board, and we in business can learn a great deal from these professionals when it comes to keeping our own companies running and moving in the right direction. Ships are not democracies. A captain always leads the ship’s crew and directs activities on board. Captains have considerable experience sailing ships and know what needs to be done to make the trip a success. Their ability to see the larger picture lets them direct their subordinates. They don’t waffle in making decisions and have confidence in their abilities. Like any good leader, however, a captain also willingly listen. Captains will take advice from their advisers in certain situations, and then balance the advice against their own experience. A good captain is able to take all of these sources of information and synthesize them to come up with the best possible solution. As a business leader, you must be willing to do the same. Strong leaders unabashedly listen to those around them while also using their own experience and wisdom to make decisions for the benefit of the company. They don’t shy away from making firm decisions, nor are they so concerned for their own power that they neglect to listen to what others have to offer. Ships have always required dedicated crews to keep them afloat. The ships of old required crews of men who would paddle the ship or control the sails to keep the boat moving. Crews today might man the sails or the engine rooms. No matter where the crew is working, however, they have to be prepared to give the boat 100 percent. The employees you select for your business must also be fully dedicated to your company. You should be able to trust that their skills and experience will help them move the organization forward. Running an efficient business means not having to look over everyone’s shoulders, but instead establishing goals and having your employees work to meet you there. When sailing a ship, the boat has a concrete destination. The captain and crew might have to adjust their route slightly if a storm comes up or another obstacle crosses their path, but they always know where they’re going and how they plan to get there. Your business must have the same foresight. Successful organizations don’t set vague goals for success. Instead, they lay out concrete, measurable goals they want to achieve. When the goals of the organization are clearly laid out in front of everyone, it’s much easier for each person to know exactly what they’re supposed to do and how that fits in the broader picture. Keeping a ship — or business — afloat requires strong leadership, a dedicated staff, and concrete goals. When you manage to keep these three ingredients in mind for your company, you’ll be well on your way to success. Given that most people despise spam email, it can be difficult to see how email can fit into a successful marketing strategy. Isn’t blasting potential customers with email part of the old, outdated marketing system that’s now viewed as ineffective? Yes — when you send potential customers unsolicited emails, especially using email lists you purchase from a provider. No — when your email messages are used purposefully as a means of initiating conversation with your leads and helping them along the sales process. The truth is that more than 3/4 of your customers prefer to receive marketing communications by email compared to other methods. It’s also true that 95 percent of online customers use email, with the vast majority of them checking their email at least once a day. When used properly, email can be a fantastic way to stay in touch with your customers reliably and consistently. Here’s what you should keep in mind to make sure you’re getting the most from your emails. Make sure everyone wants to be on the email list. The first step to using email effectively is to ensure that everyone actually wants to be on your email list. This means no list purchasing and no generating email lists from random people. Your email lists should be comprised of people who have voluntarily given you their email address. You can use your landing pages, sign ups, and past customers to generate much more effective email lists. Such lists will have a much higher open rate than a randomly generated list. Your messages will be less likely to be marked as spam, and you’ll generate a higher conversion rate. Use email to cultivate leads. Email is a fantastic tool for taking people who have shown at least a passing interest in your brand and moving them further along the conversion process. Start by creating an e-newsletter comprised of helpful, relevant information designed to help people no matter where they are in the buyer’s journey. This will remind customers of the value you have to offer. As an added bonus, when you produce content that people like to share, you can generate even more leads. When people receive information about a company from a person they trust, they’re more likely to trust the company themselves. Use email to stay in touch. Email is also a great medium for staying in touch with people. Got any past customers you haven’t heard from in a while? Reach out to them with an email asking how you can help them reach their goals. How about people who have visited your pricing page but didn’t make a purchase? Email them to find out if they have any more questions about your products or services. Email can even be helpful for taking an interested, sales-ready lead to the final step. After making your sales calls, follow up with emails. By opening multiple lines of communication, you’re making it as easy as possible for your customers to contact you. Spam email has long passed its effectiveness as a marketing tool, much to the relief of everyone. But that doesn’t mean email itself is obsolete. Using email effectively in conjunction with the rest of your marketing efforts can be an excellent way to cultivate more leads and bring your company the growth you seek. 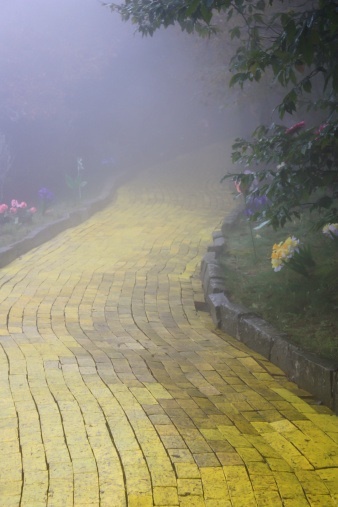 The Wizard of Oz is an exciting tale that has delighted people for several generations. When young Dorothy is magically transported from her home to the magical land of Oz, she and her companions must outsmart witches and other dangers in an effort to find the famed Wizard of Oz, who they believe can help her find her way home and grant her companions gifts of their own. Upon finally finding the wizard, however, they learn that he is not some great and powerful wizard after all. Instead, he’s just an ordinary man behind a curtain, projecting his voice and image to appear to be a magical being. Still, in the end, Dorothy does learn how to get back home. There are two key lessons we as business leaders can learn from the wizard. In one situation, he’s an excellent example of what we should do. In the other, he does the exact opposite of what would be appropriate in the business world. In Oz, the wizard regularly projects his voice and opinions for all the kingdom to see. He providers personalized information for each person who visits him. In social media, we’re often asked to be like the man behind the curtain. We must project our voice and opinions in a variety of media, communicating a sense of authority and wisdom. With all the demands of the modern business world, it can be tempting to resort to automation. There are a number of ‘tricks and cheats’ available in the social media world. From programming social responses to buying followers to automating tweets, it’s very easy for those who desire it to completely remove themselves from the actual social media process. If we’re to learn anything from the mysterious wizard, however, it’s important to remember to always have an actual person ‘behind the curtain.’ This will allow us to engage potential leads when they arise and avoid missing opportunities to bring in new customers, which can easily happen if all our responses happen automatically and we aren’t actually monitoring the conversation. Although it’s important to remain actually present behind all our social media campaigns, we also need to be authentic. The wizard made the devastating mistake of casting himself as something he wasn’t: a powerful wizard. When those who actually needed his help (like Dorothy and her companions) turned to him, he was virtually powerless to help. If we cast ourselves as something we’re not, nothing will destroy our reputation faster than our customers realizing it. We must always be realistic about our capabilities and strengths. Play up what you can do for customers and be confident in your abilities, but don’t ever let yourself get caught in a web of lies. Social marketing is an important part of branding and finding new customers. It requires authenticity. That means broadcasting a solid message based on what you can do for customers and always keeping a person involved with every stage of the campaign to communicate with customers. When you stick to these two rules, you’ll have a great chance of success. Are you ready to get a new campaign started? Come talk to us! We’d be happy to help you get started. The Great Gatsby is considered an American classic. Its recent film adaptation starring Leonardo DiCaprio has only increased its popularity. Few students in North America made it through high school without reading the book, and the film only helped to bring the images of decadence to life. F. Scott Fitzgerald’s story takes place on Long Island during the 1920s. A mysterious millionaire named Jay Gatsby holds luxurious parties on a regular basis, all in the hopes of drawing his old lover, now married to another, to his home so he can rekindle the romance. Over the course of the novel, it becomes apparent that Gatsby has made his money participating in illegal activities, such as bootlegging, and has surrounded himself with an unsavory crowd of people who seem to care only about where the money for the next party will come from. In the end, all the money in the world can’t save Gatsby from an untimely demise. Gatsby understood the importance of networking. He used his connections to build a reputation among the people of the fictional town of West Egg. His network even managed to bring him into contact with his old love, which was the ultimate goal of his parties and wealth. Every business professional should leverage networking to build their company. It’s impossible to do business in a bubble. Networking will put you in touch with others in your industry who you might end up working with, as well as potential customers and clients. Gatsby’s entire career was focused on reconnecting with his past love. He kept his eyes always focused on this prize and strategically worked to achieve it. From building his wealth to throwing his parties, his life was centered around this key goal. Hopefully, your long-term goals are more business-oriented than Gatsby’s, but even so, it’s still important to keep your eyes focused on achieving them. Don’t get distracted or caught up in some new fad if it doesn’t help your company achieve its goals. Goals can change and adapt, but it’s important to always keep your eyes forward. Gatsby managed to build a wealthy empire for himself. However, this empire had a horrible foundation. He had built everything on an illegal enterprise and associations with people of questionable character. While he may have had good business sense, he still tried to take the easy way out — to build his wealth without having to develop an honest business. When building your business, focus on establishing a strong foundation around a network of reputable business associates, strong products and services, and outstanding customer relations. Don’t take shortcuts. They’ll only come back to hurt you in the end. The Great Gatsby is a classic novel that explores the world of the roaring twenties. It can be tempting to dismiss the moral lessons as products of a bygone era. For those of us in business, however, there are many things we can learn from Gatsby’s triumphs and failures. No professional should overlook them. Postseason baseball is in full swing. After six months and 162 games, only a handful of teams have earned a chance at becoming World Series champions. Putting together a championship-quality roster is no easy task. Tryouts, trades, drafts, and injuries all play a part in the process. Teams must find the right mix of players who can bat, pitch, and field. Just as importantly, though, they must consider team chemistry, too. Is everyone playing together? Are internal rivalries or personality clashes going to get in the way of a cohesive unit? Can those clashes be overcome for the sake of success? In the end, it often takes experience to get it just right. 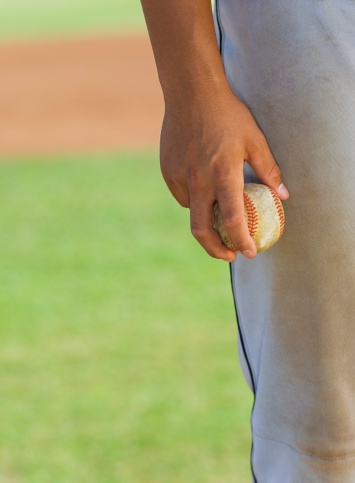 When you set out to select members for your own professional team — your business — you must give it as much thought as a baseball coach and general manager. Sure, you should carefully review resumes and interview candidates, but in doing so, try to avoid the temptation to simply fill a role, rather than building a team. When you fail to evaluate a candidate for their ability to fit in with your company culture and ascribe to your company mission, it’s easy to lose your internal values. This can in turn damage employee morale and employee loyalty. When everyone is concerned with just completing a job, rather than working together as a team, people don’t feel as connected to their workplace. According to Bain & Company, it’s 6-7 times more expensive to acquire a new customer than to keep an old one. Building a successful business should be focused around delighting your customers, giving them reasons to return, and encouraging them to recommend you to others. Your employees are the ones who interact with these customers every day. They’re the face of the company. When you don’t take the time to develop a strong company culture that encourages employee satisfaction and a positive work environment, you end up putting up a huge roadblock for customer satisfaction. Work with your current team to develop lists of values and priorities that keep your workplace cohesive and productive. When you’re ready to make a new hire, carefully consider how the person will fit in with the rest of the organization. This will include asking them questions that relate to these specific values. Consider having candidates speak with multiple people at the company or try performing some of the basic tasks they would do if they were hired. The better you can choose your employees, the better you’ll be at building an organization that works as a team and serves your customers with a united front. Have faith and trust in your organization, empowering your employees and making it an overall fantastic place to work and grow. While many organizations realize their customer service will have an enormous impact on their success, they don’t realize that something as intrinsic as their hiring practices can have such a big impact. Give your company a leg up and complement your marketing efforts with a superior, service-oriented company. Get started by making sure each hire you make will be a great fit for your team. You may be surprised how much it pays off. When you sit down to develop marketing materials, you know you’re trying to reach potential customers. If you’re unclear who that might be, however, you could find yourself wasting time, energy, and money. Taking the time to develop your official ‘buyer persona’ can make the task of figuring out how to reach these potential customers significantly easier. Marketing Mike is working to lead his marketing team for his small business. He’s in his late 20s or early 30s and makes about $80,000 a year. Mike is struggling to make his superiors realize the importance of marketing because they’re threatening budget cuts to his department. Buyer personas provide the basis for all your marketing efforts, so it’s critical to develop them on solid evidence and not just who you ‘think’ would be interested in your product or service. Begin by speaking with your existing customers. Get a feel for who they are and what has brought them to you. Complement this information with some research about the industry, the market, and who is typically using services like those you provide. As you begin to compile these different sources of information, you should start to see some patterns develop. Use these patterns to begin grouping customers into a few different buyer personas. It’s critical that you always seek to learn the ‘why’ behind the ‘what’ as you do your research. It’s not enough to know that Marketing Mike wants to find a more affordable way to market. Understanding the motivation behind his drive is what will help you effectively reach him. 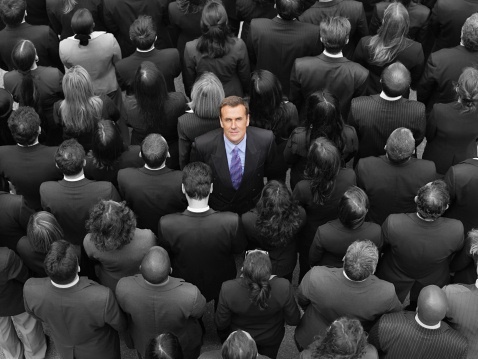 Once you’ve established your buyer personas, they’ll run your marketing campaign. You’ll develop content that speaks to the questions and problems your personas are facing. You’ll create promotions and attention-grabbers oriented toward these specific people. Buyer personas give you the additional edge of a targeted approach. No company can be everything for everyone. By developing buyer personas, you’ll know exactly who you’re trying to reach. You’ll have a clear goal and a much better chance of reaching the people who are most likely to buy from you. A successful marketing campaign means reaching your potential customers and making your company’s value to them clear. That task becomes much easier when you know exactly who you’re talking to. Develop your buyer personas to refine your marketing strategy, and you’ll find your chances for a successful campaign improve drastically. 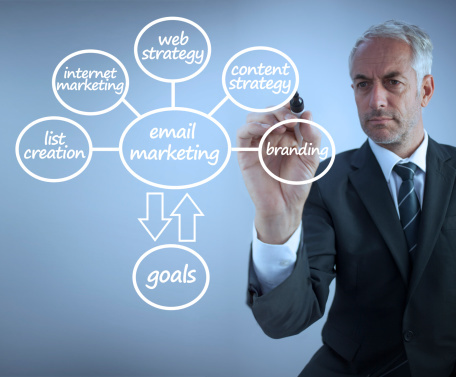 If you’re ready to start refining your marketing strategy, contact us today.